This award will be given to an outstanding clinician educator junior faculty member (Assistant Professor/Instructor) for an impressive body of work in geriatric education. Significant contribution to educational program development. Teaching expertise as well as educational program development is valued in the selection of the recipient for this honor. A primary letter of nomination outlining the candidate's contributions as written by another educator who is familiar with the candidate's work and should include any involvement in the AGS. 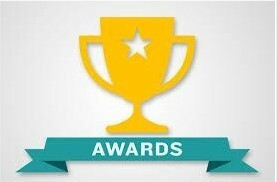 Nominations will be reviewed and the awardee selected by the Awards Committee of the AGS. To recognize his/her outstanding achievement, the awardee will receive a letter documenting the award and a framed certificate will be presented during the Awards Ceremony at the AGS Annual Scientific Meeting.